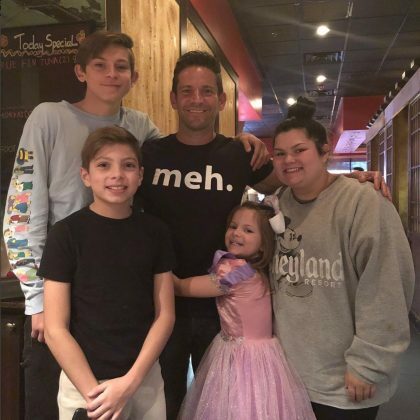 Jeff Timmons celebrated his son’s birthday at Las Vegas, NV, USA’s Ohjah Japanese Steakhouse, Flamingo & S. Hualapai in October 2018. 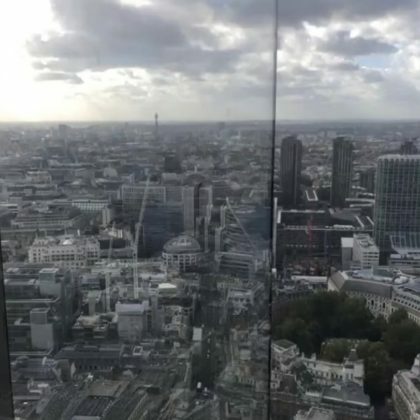 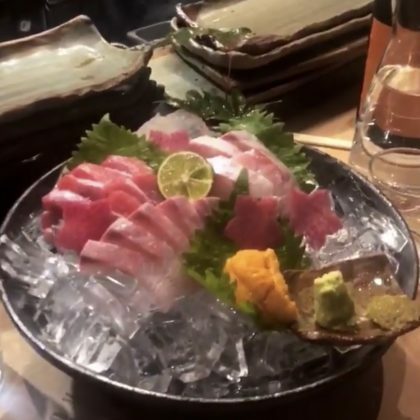 Billie Lourd checked into London, England, UK’s SUSHISAMBA Liverpool Street in September 2018. 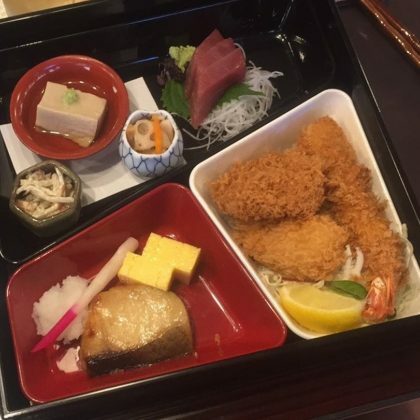 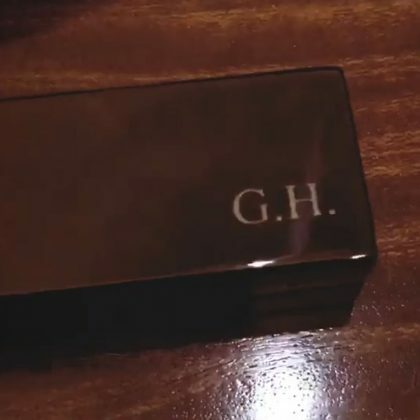 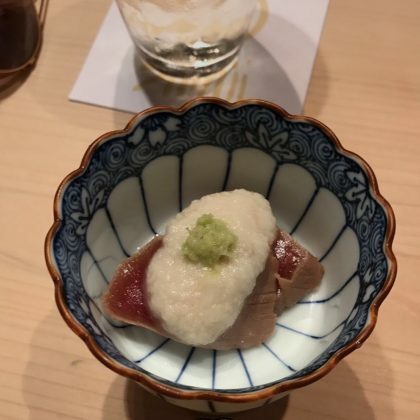 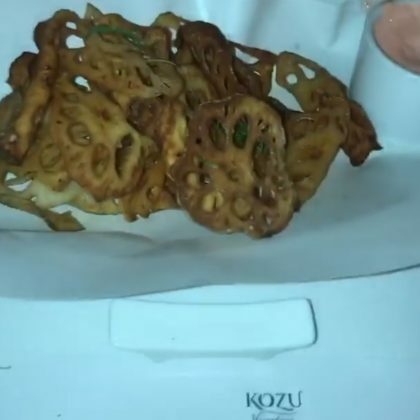 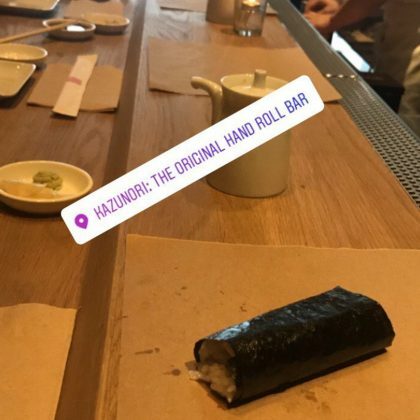 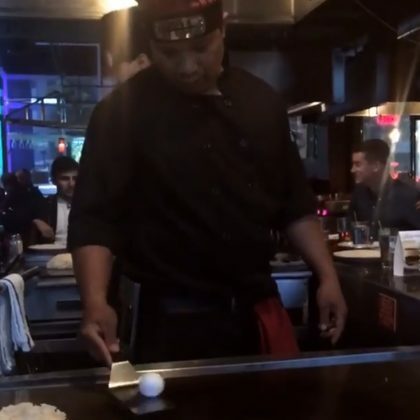 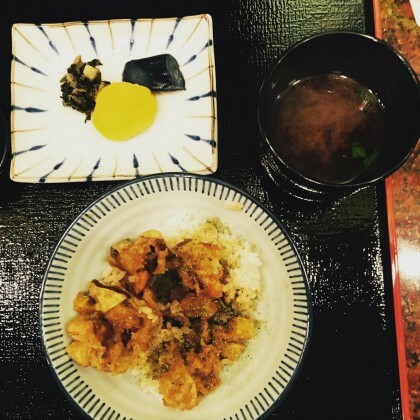 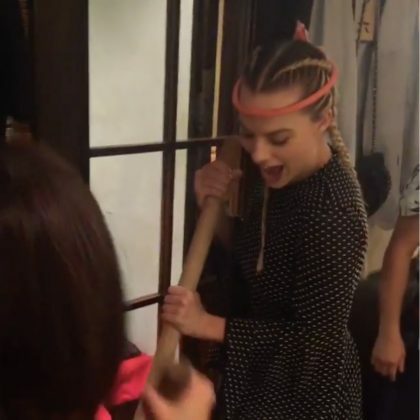 Lucy Hale had some “Fresh wasabi” when she ate at Tokyo, Japan’s Sushi Kojima in August 2018. 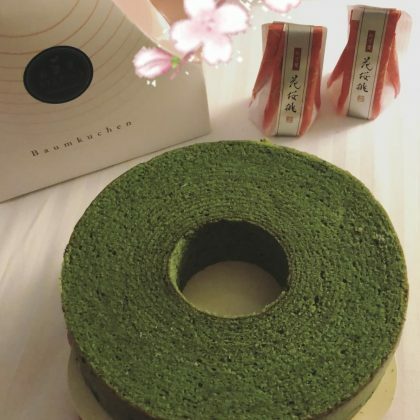 Kacey Musgraves celebrated her March 2018 album release with a “green tea cake I cannot live without” from Minamoto Kitchoan, New York Madison Avenue Store. 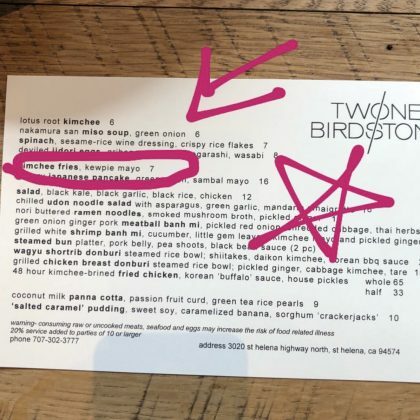 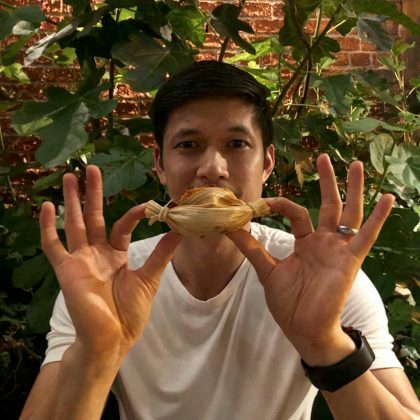 Gwyneth Paltrow pointed out the kimchee fries ($7) when she ate at St. Helena, CA, USA’s Two Birds One Stone in March 2018. 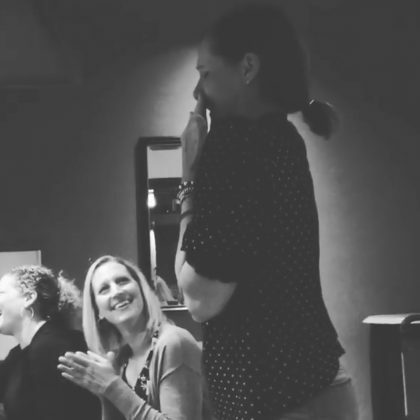 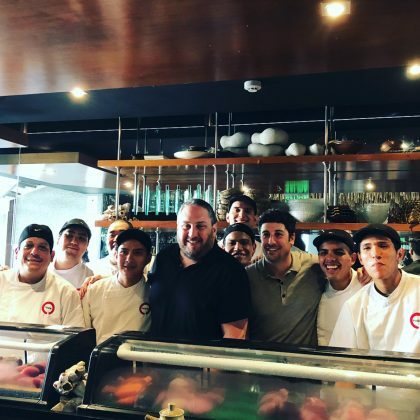 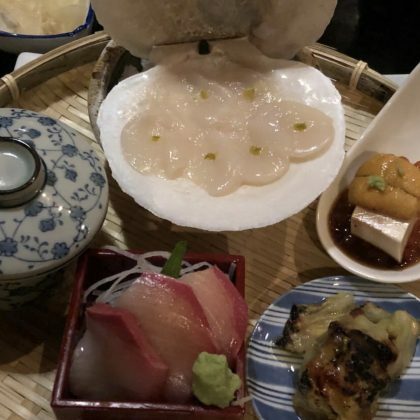 Tony Hawk ordered a spread of seafood at Kura in November 2017. 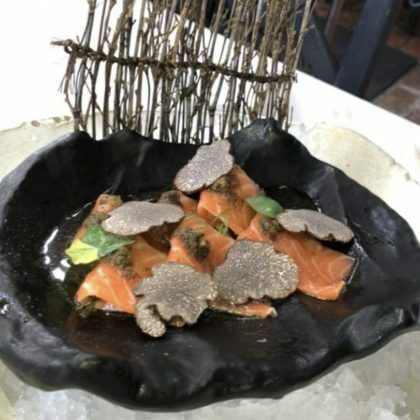 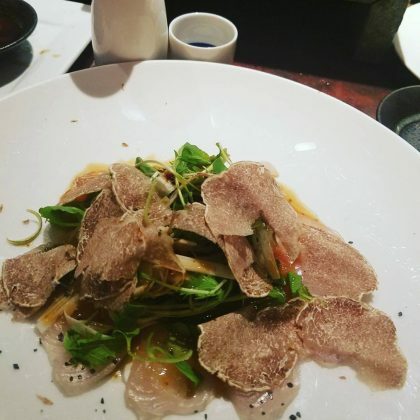 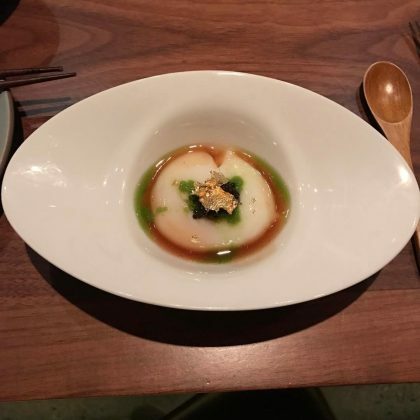 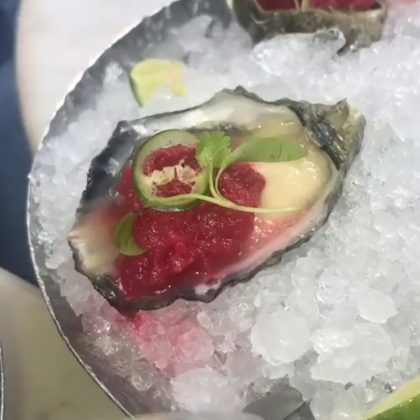 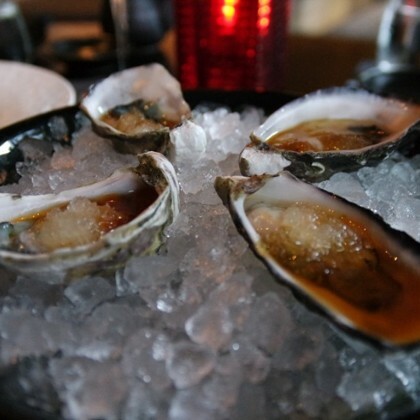 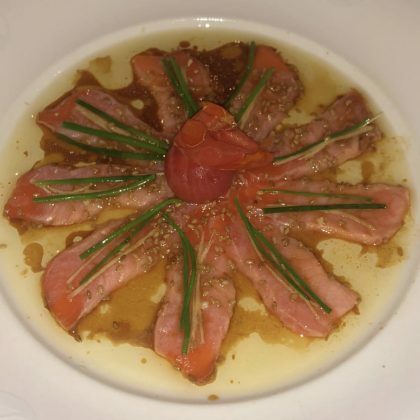 Jonathan Cheban chowed down a truffle-topped fish dish at Makato in November 2017. 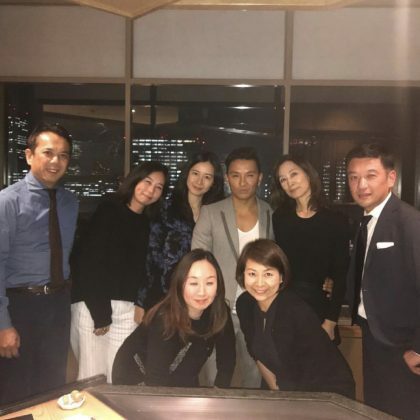 Designer Prabal Gurung called Omen Azen “my fav restaurant” when he ate here in November 2017. 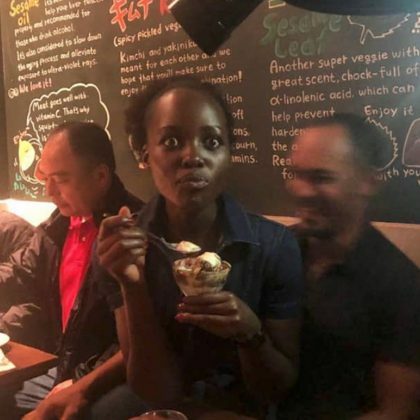 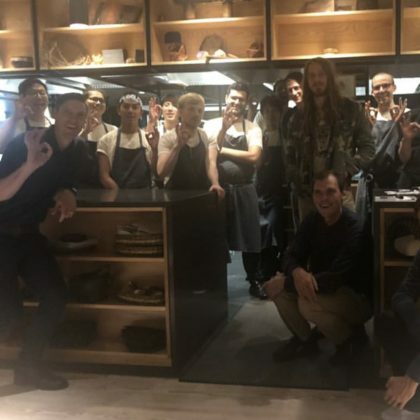 Jessica Alba was at Izakaya NoMad in October 2017. 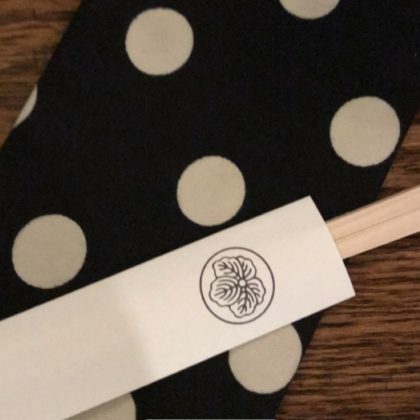 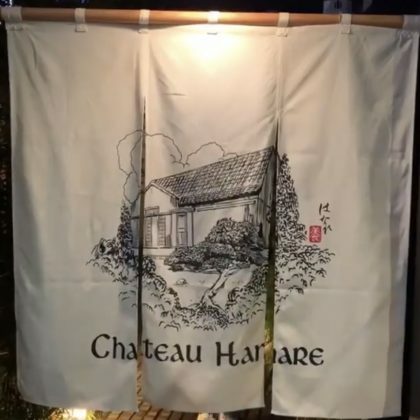 Camilla Belle met a friend for a “Delicious dinner” and slice of cake at Kappo Masa Restaurant in October 2017. 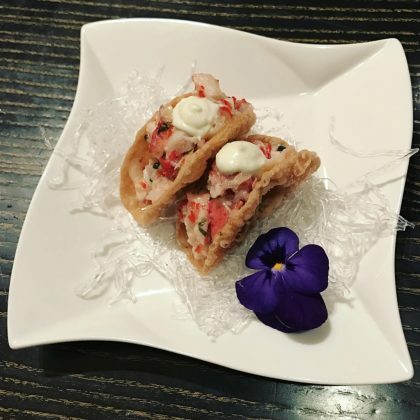 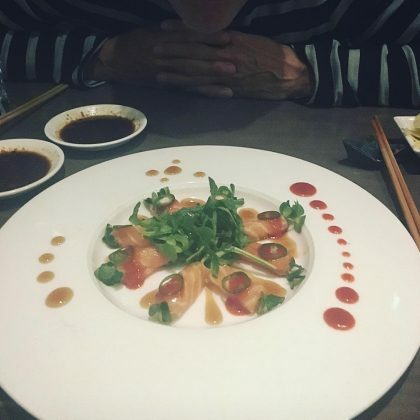 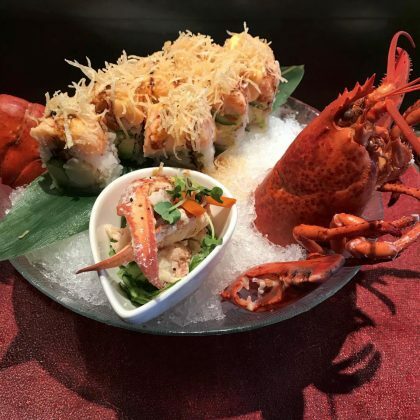 Jonathan Cheban enjoyed a seafood dish when he ate at Makoto in September 2017. 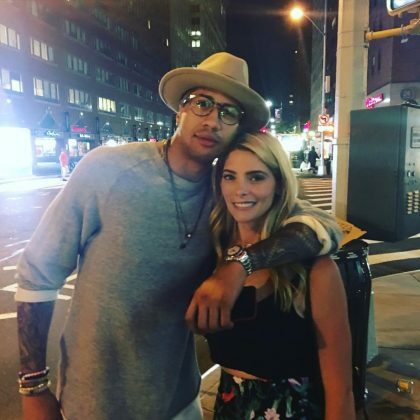 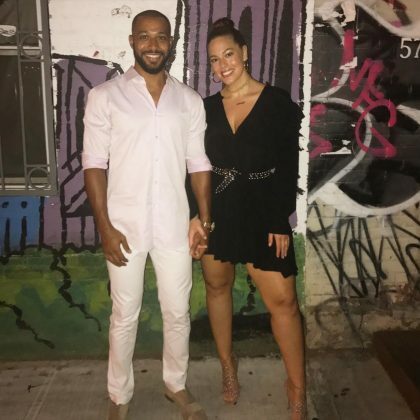 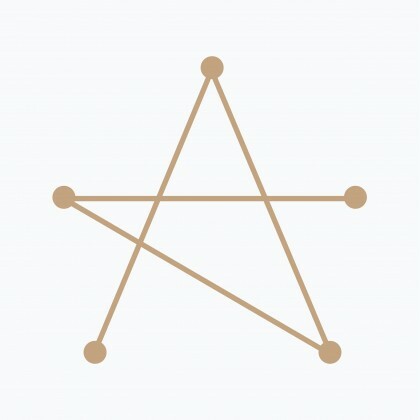 Ashley Graham checked in at Bohemian with her husband in August 2017. 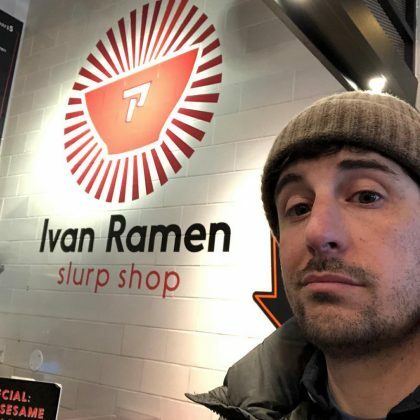 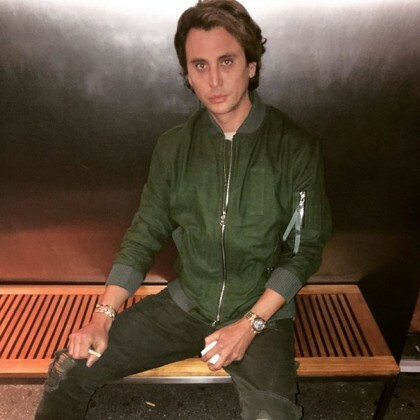 Jonathan Cheban ate at KazuNori, NoMad, NY in July 2017. 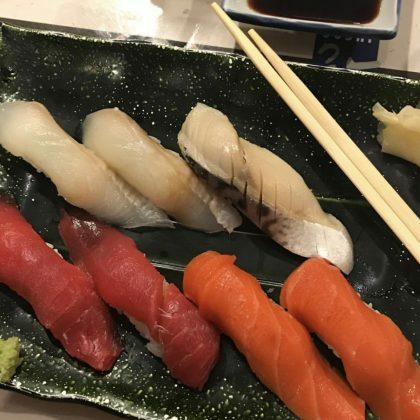 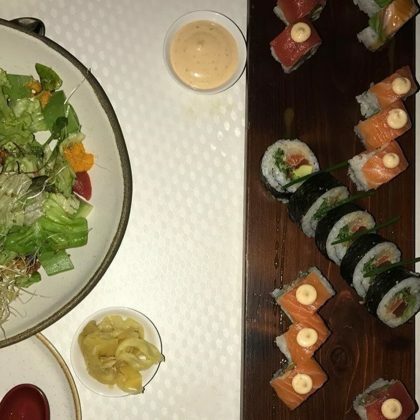 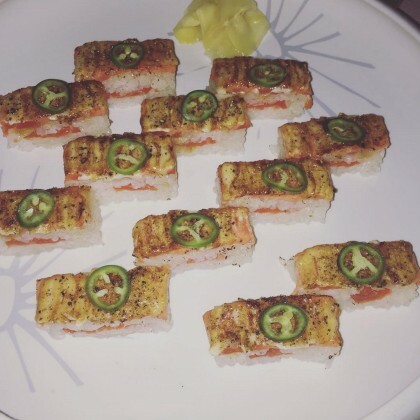 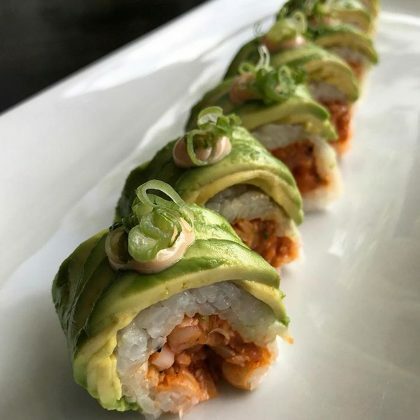 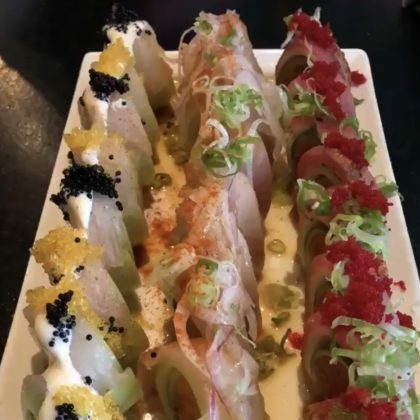 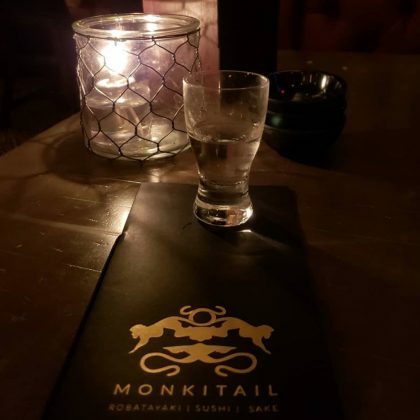 Shay Mitchell celebrated “national Sushi day” in June 2017 with a shot of her recent meal here. 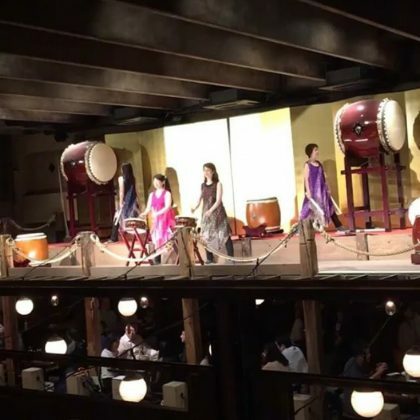 Kim Kardashian came to the “Kill Bill restaurant” in June 2017. 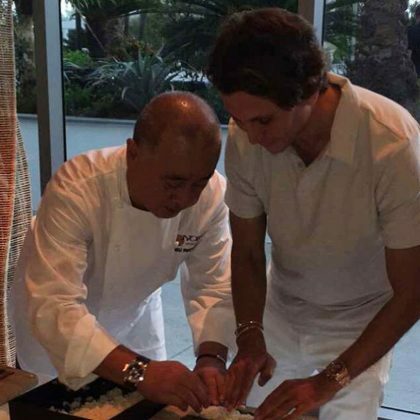 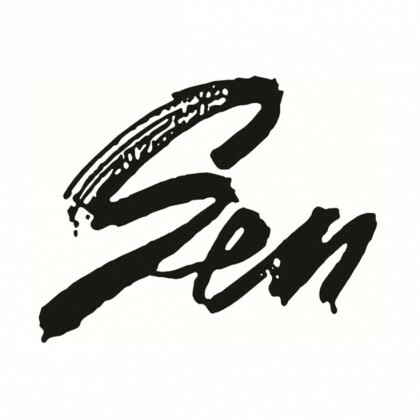 Jonathan Cheban selected several dishes when he ate at Sushi Mikasa in June 2017. 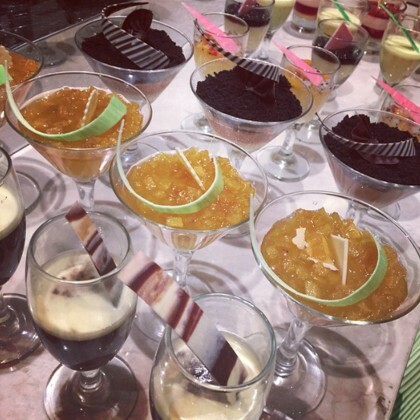 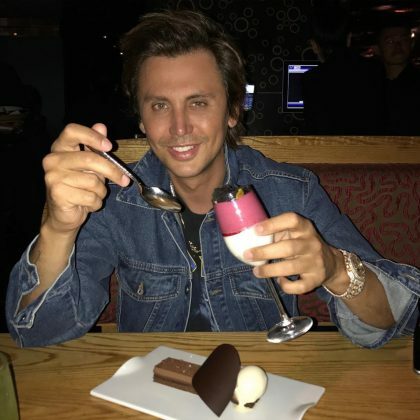 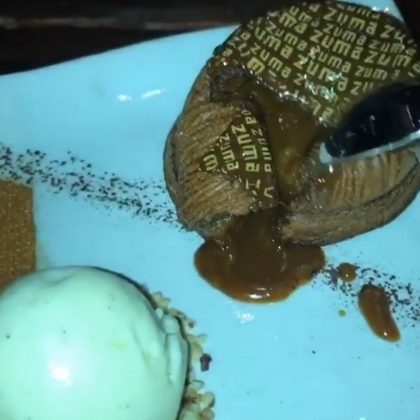 Jonathan Cheban dug into dessert when he ate here in May 2017. 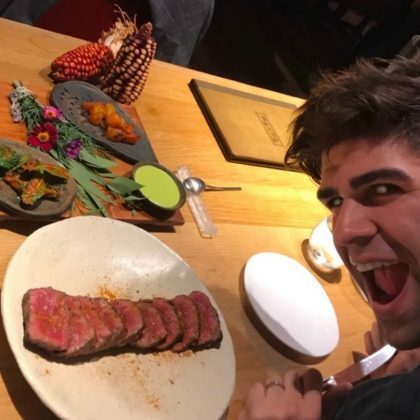 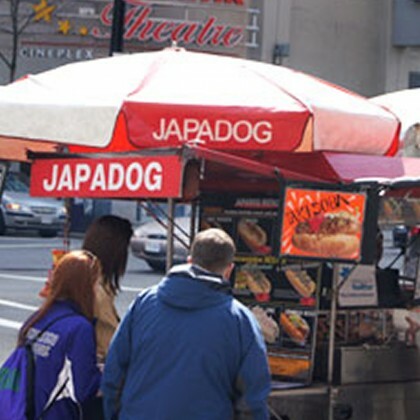 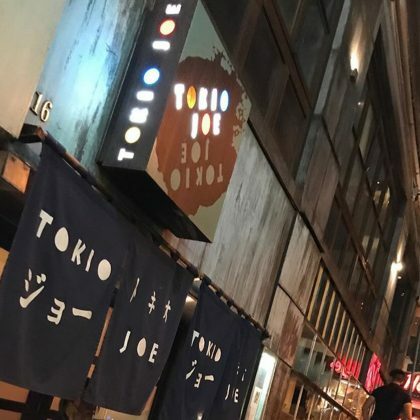 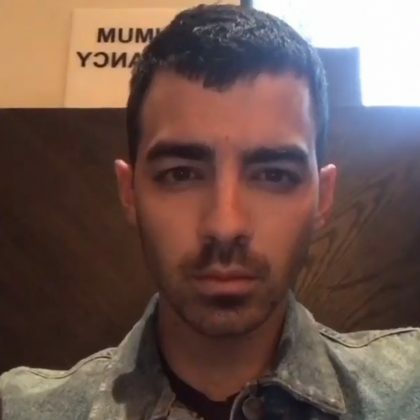 Joe Jonas ﻿made his bandmates participate in a “Fake boomerang” with their drinks when they shared a meal here in May 2017. 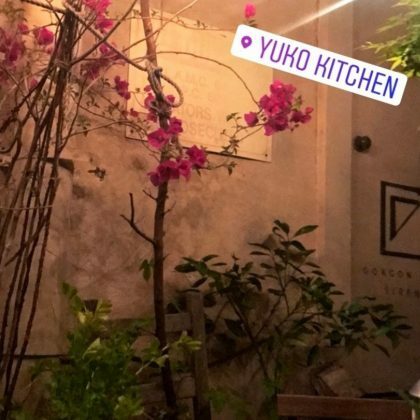 Monique Coleman﻿ checked in at Yuko Kitchen, Miracle Mile in May 2017. 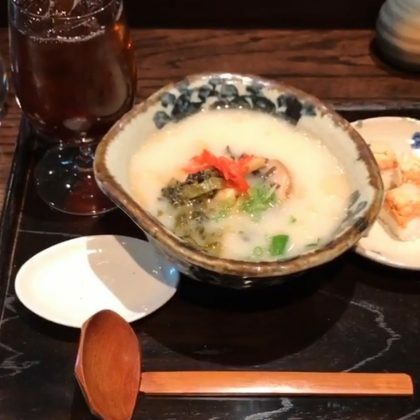 Holly Madison﻿ ate at Tonkatsu Maisen Aoyama Honten in May 2017. 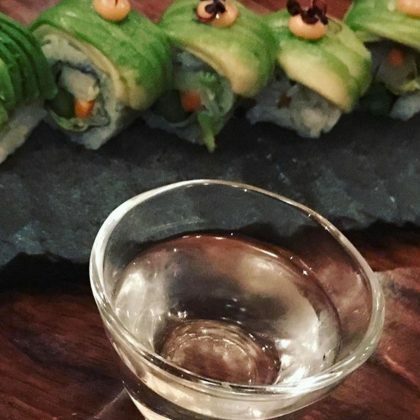 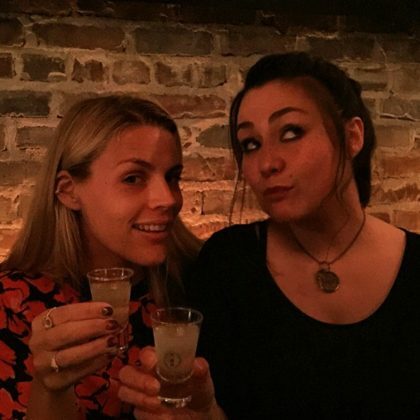 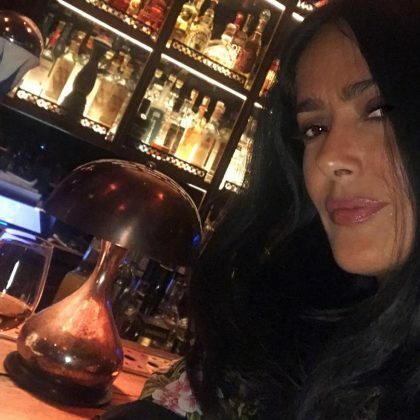 Bethenny Frankel﻿ perused the sake selection when she was here with friends in April 2017. 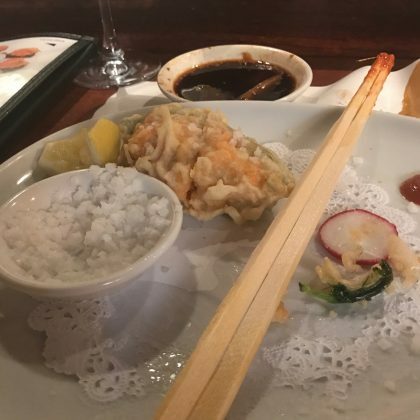 ﻿Bethenny Frankel﻿ ate at Sushi Yoshi, Stowe on a snowy April 2017 evening. 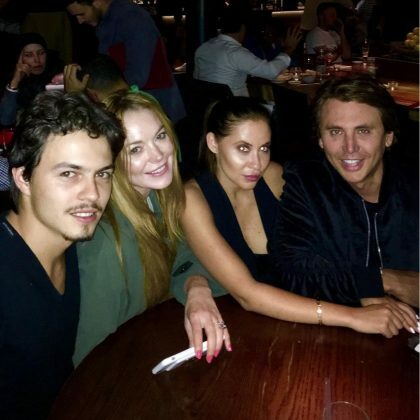 Jonathan Cheban did dinner and dessert at Zuma, Miami in March 2017. 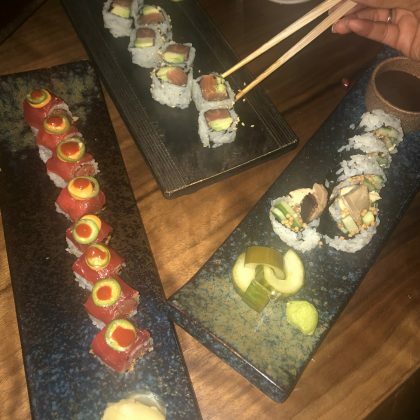 Usher enjoyed some “Family Time” over a meal at Umi in March 2017. 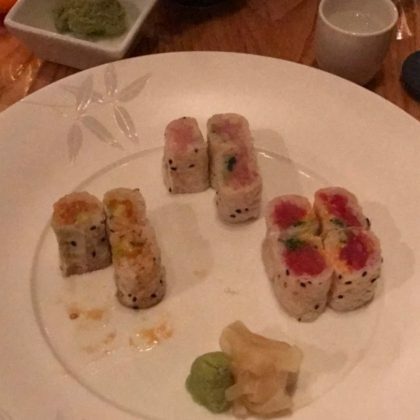 “Yes!!!! 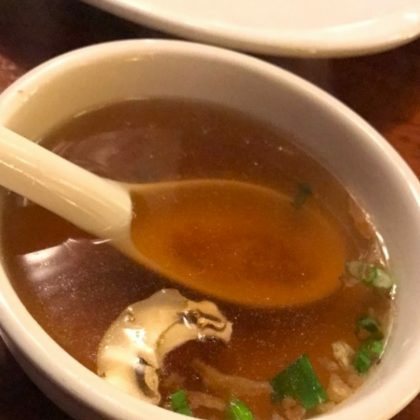 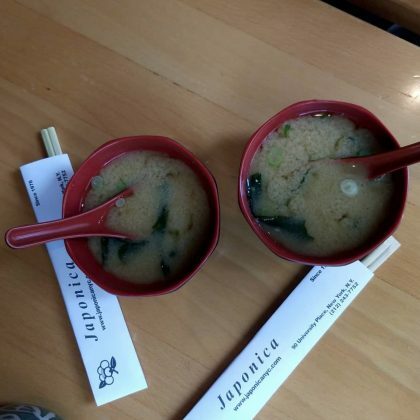 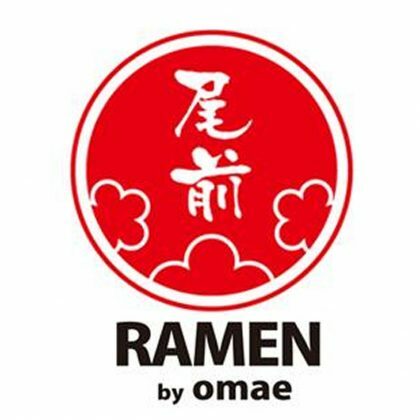 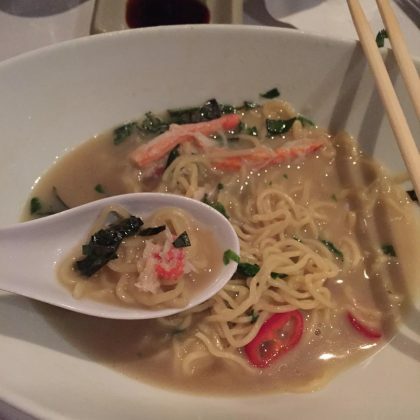 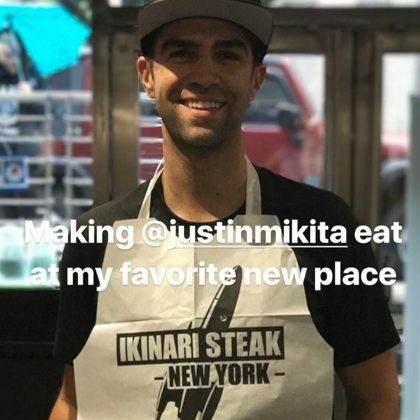 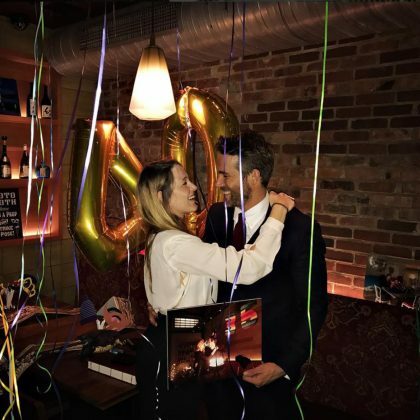 Here we go!” is what Heidi Pratt said when she and Spencer Pratt were living that “Soup life” at this Benihana in March 2017. 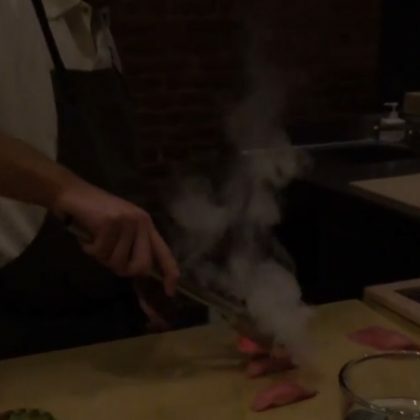 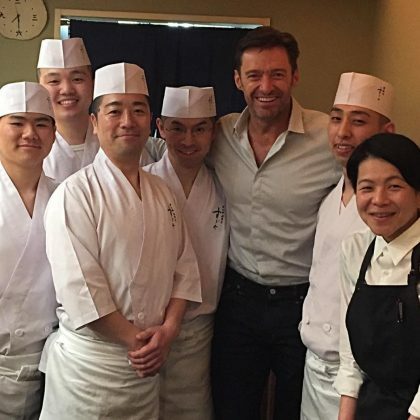 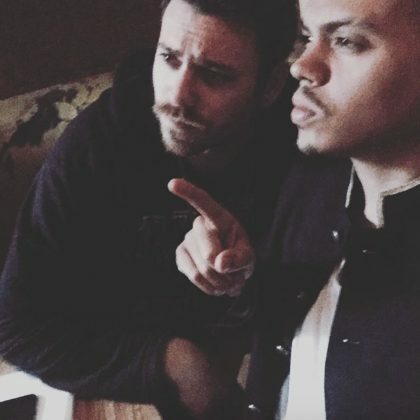 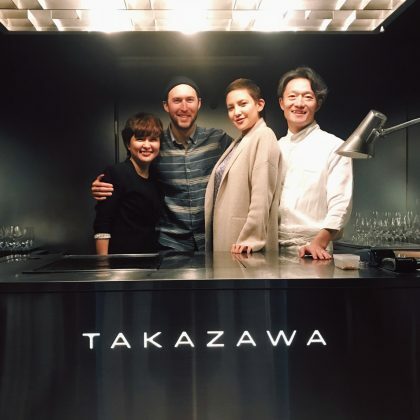 Lauren Parsekian and Aaron Paul watched a Shuko chef prepare their food in February 2017. 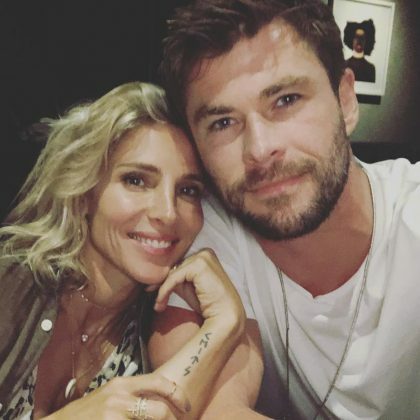 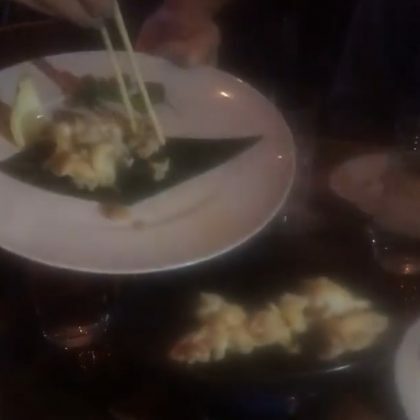 Ryan Phillippe had sushi at Wa Restaurant on Oscar night in February 2017. 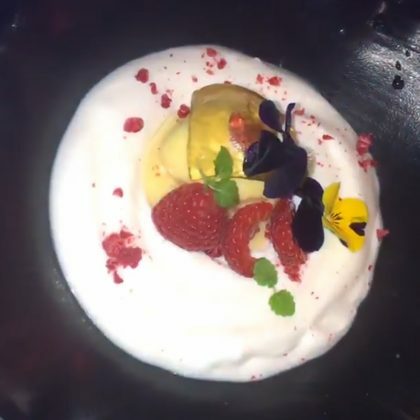 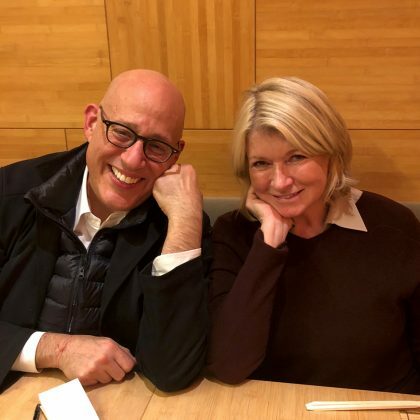 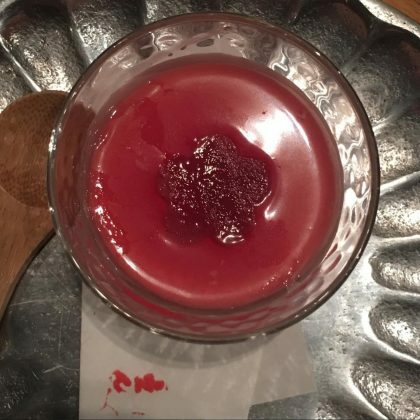 In February 2017, Martha Stewart came here “for dinner to thank chef for appearing” on her show with Snoop Dogg and said, “Chef Abe at @abe_hiroki_en prepared a mousse of beet” that was Instagram-worthy. 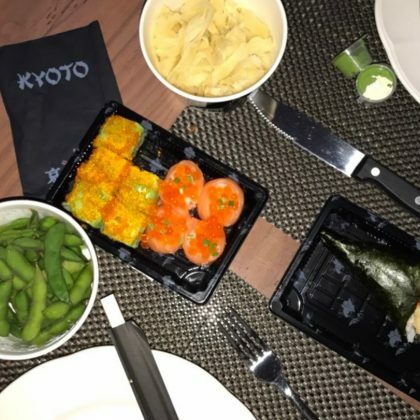 Ellie Goulding enjoyed a “Sake/veggie sushi dream at Zuma” in February 2017. 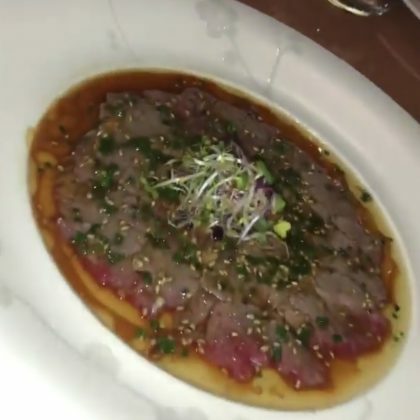 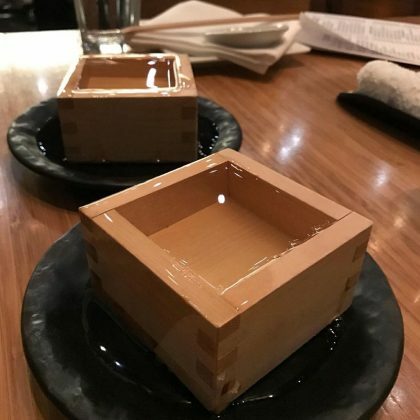 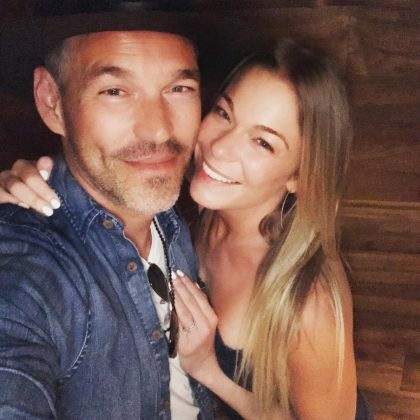 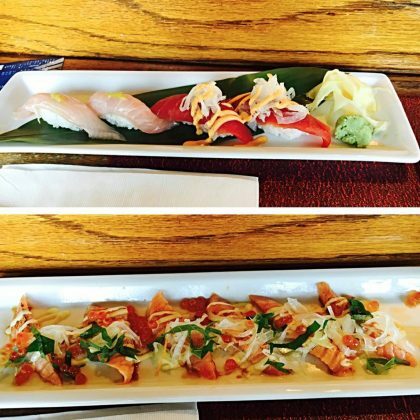 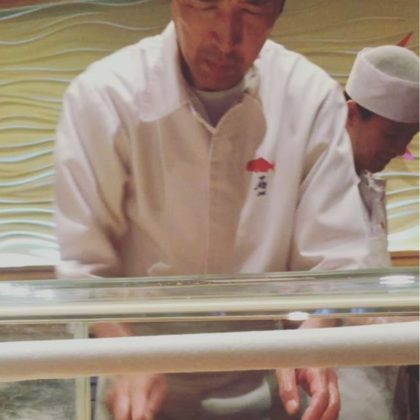 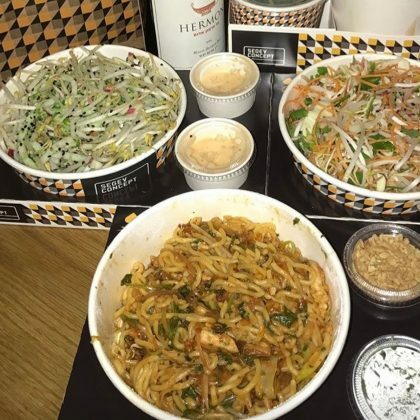 LeAnn Rimes﻿ thanked Nobu Next Door for the plate of sushi she noshed on in January 2017. 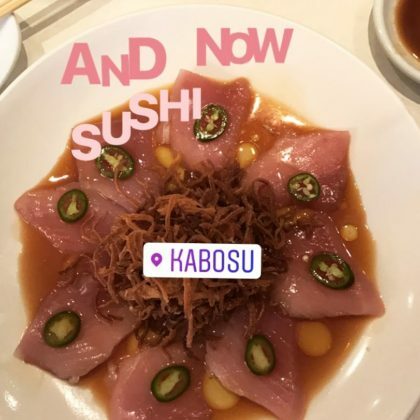 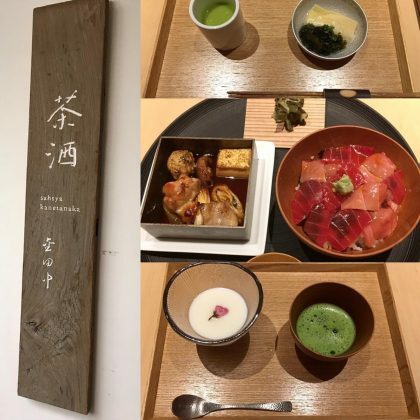 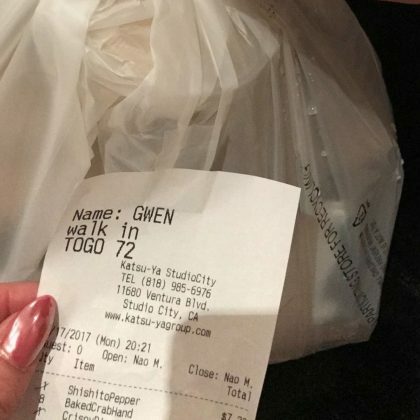 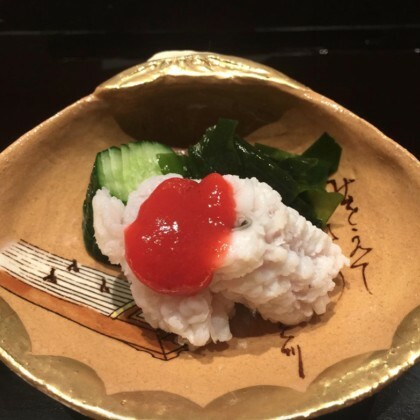 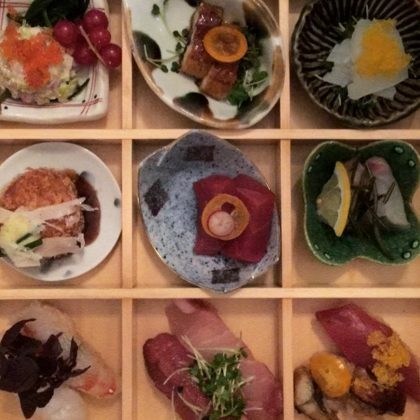 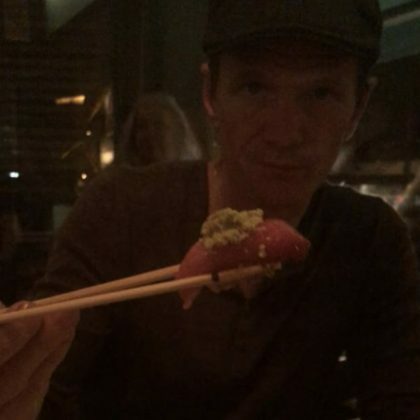 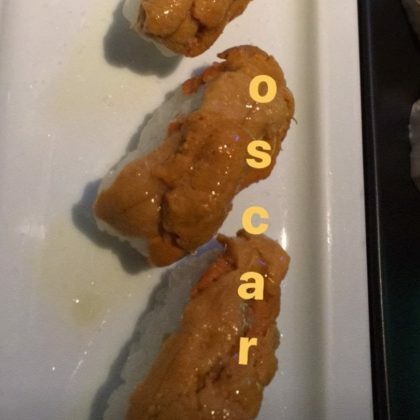 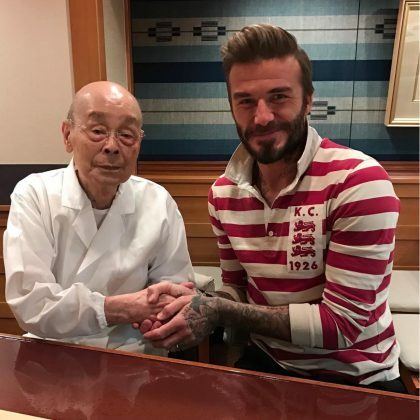 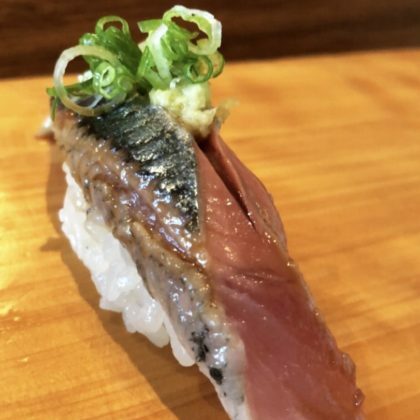 Kate Bosworth﻿ shared a “Sushi pic” after eating at Engawa in January 2017. 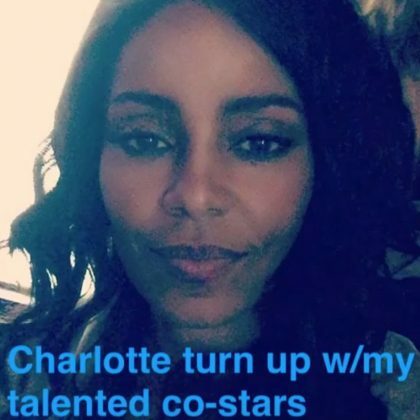 ﻿”‘Bout last night” was ﻿Eliza Dushku﻿’s caption for her photo here in January 2017. 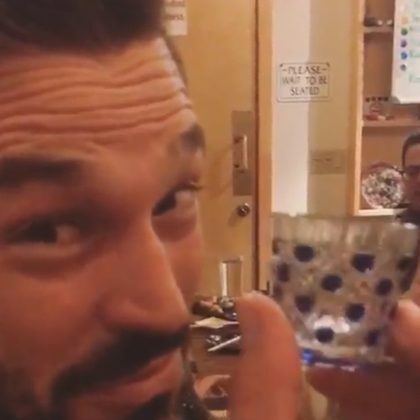 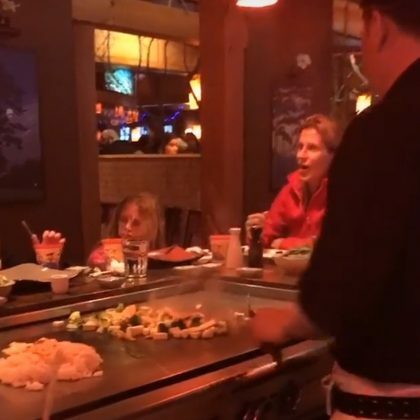 LeAnn Rimes﻿, ﻿Eddie Cibrian﻿, and his boys did dinner at Osaki’s Sushi & Japanese in December 2016. 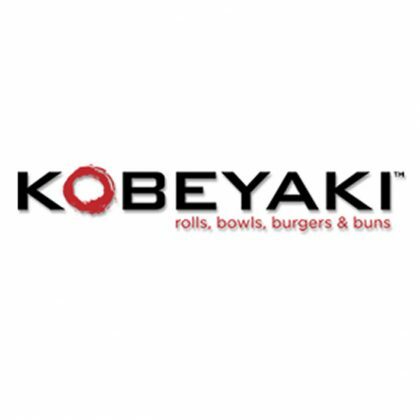 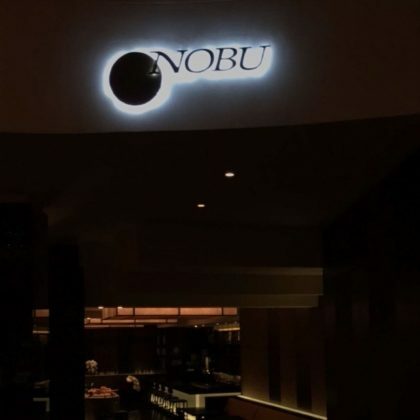 Holly Robinson Peete ordered sake and some “Kanapachi yellowtail w/ fresh white truffle Yuzu truffle sauce and black sea salt” when she did “#Sushi wit my boyz” here in October 2016. 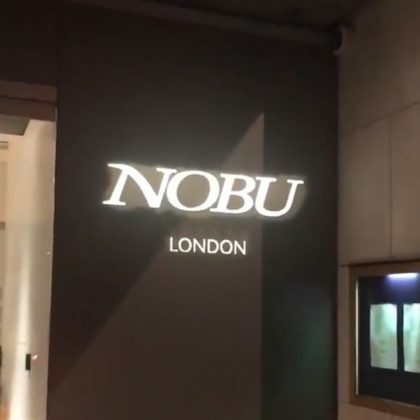 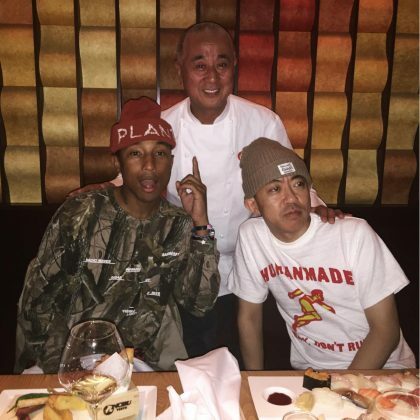 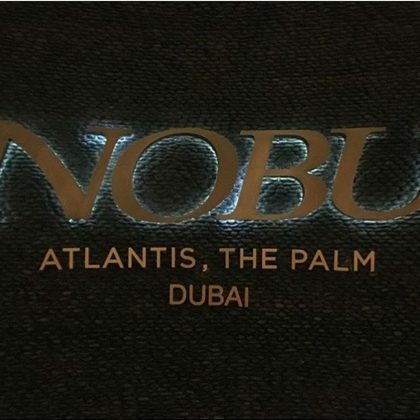 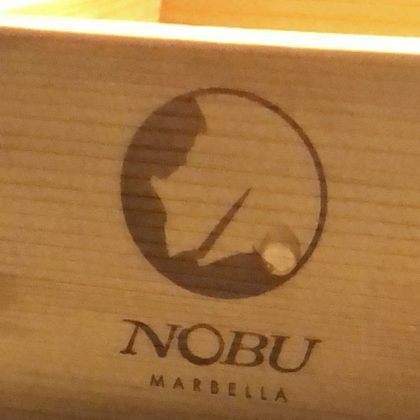 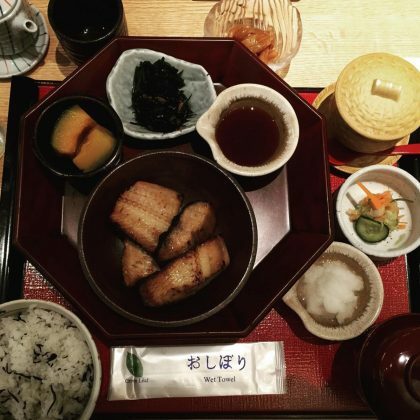 Pharrell Williams﻿ dined at “THE GO-TO ….. NOBU” — in particular, Nobu Tokyo — in October 2016. 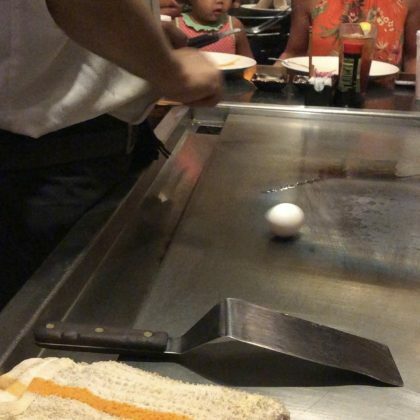 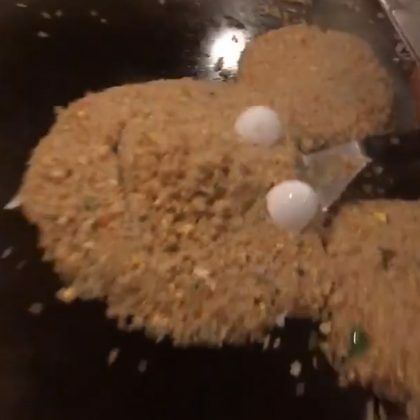 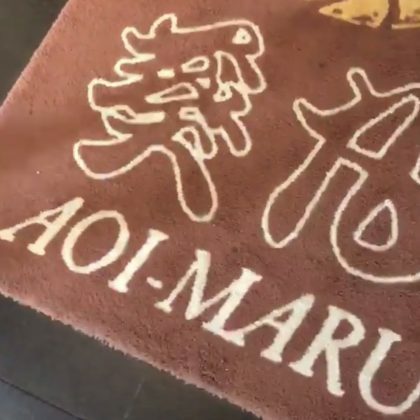 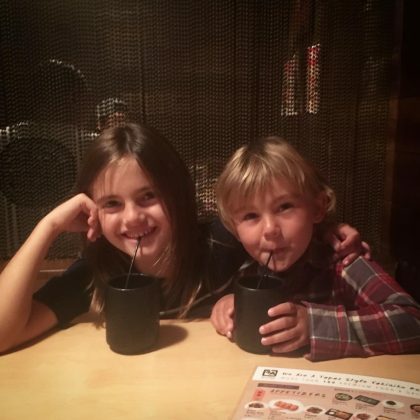 Alessandra Ambrosio and her “Partners in crime” — her daughter and son — did “#dinnertime” at a Gyu-Kaku Japanese BBQ location in California in September 2016. 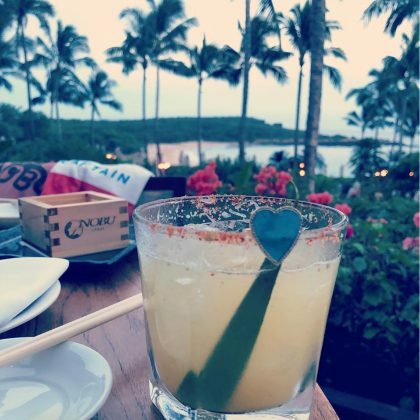 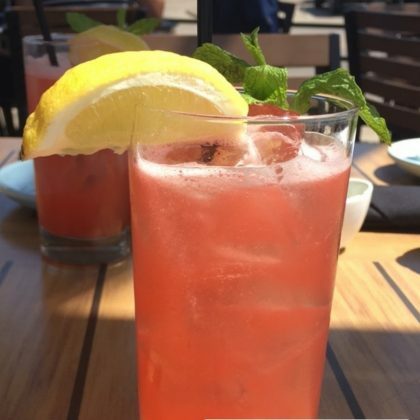 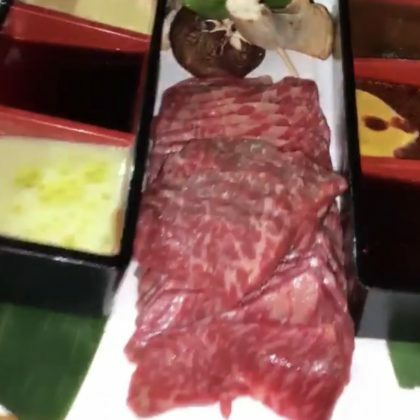 Karina Smirnoff﻿ was “having a Crane Kick cocktail made famous by the one and only @ralph_macchio” and tried the “Steak on a Himalayan salt” ($65) when she ate at Yamashiro Hollywood in August 2016. 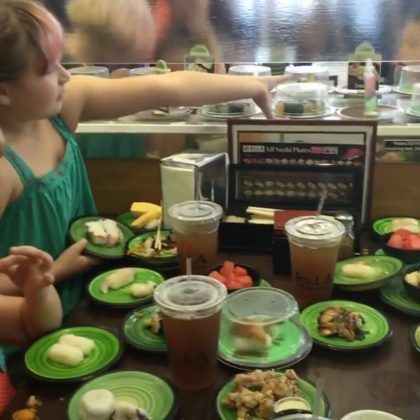 “We are obsessed” is what Tori Spelling and her kids said about their Kula Revolving Sushi Bar lunch in July 2016. 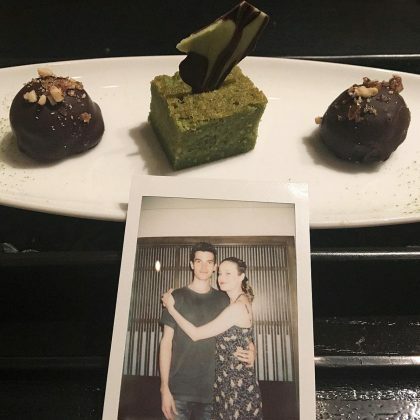 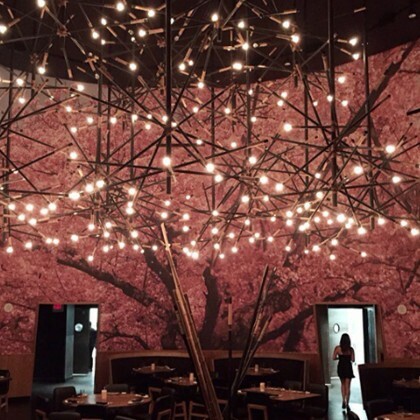 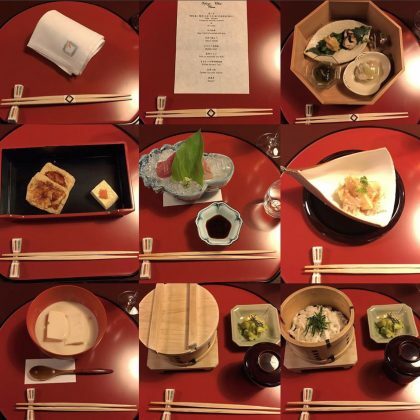 Kiernan Shipka enjoyed “A very grand finale” to her June 2016 meal at Shunji Japanese Cuisine. 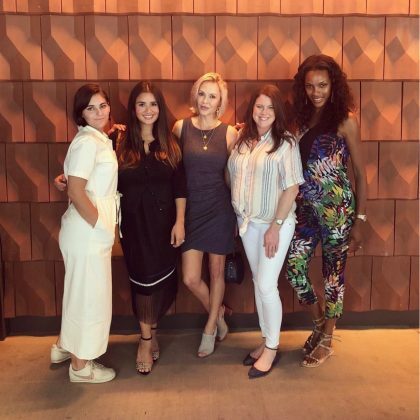 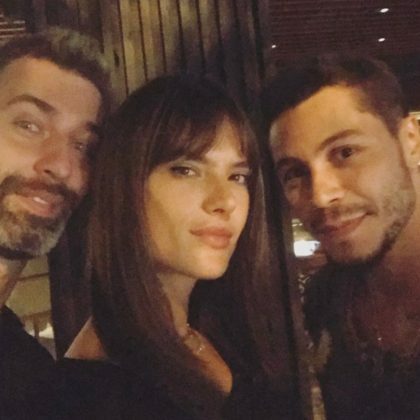 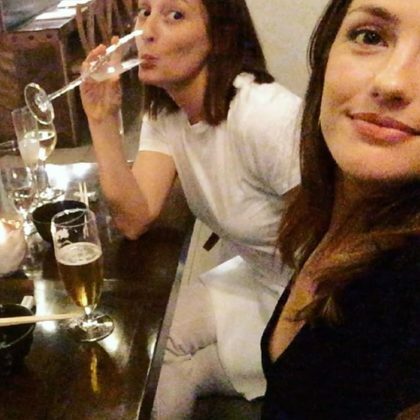 Alessandra Ambrosio﻿ snapped a “Bathroom selfie” with her squad when they went to Mizumi in June 2016. 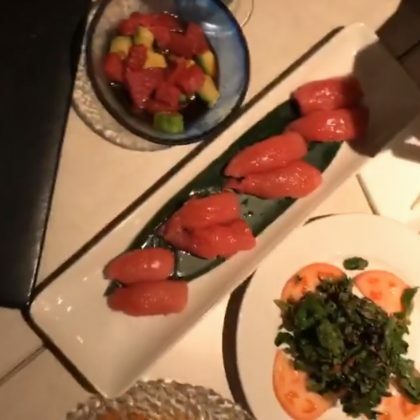 Candice Accola called out the “#spicyscallophandroll” when she ate at a Sushi Seki in June 2016. 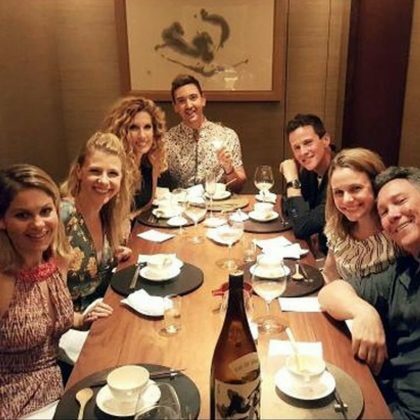 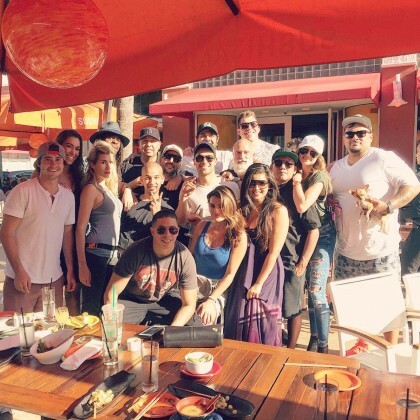 Wilmer Valderrama’s “awesome day” with his “#Miami family” in April 2016 included a stop at Sushisamba. 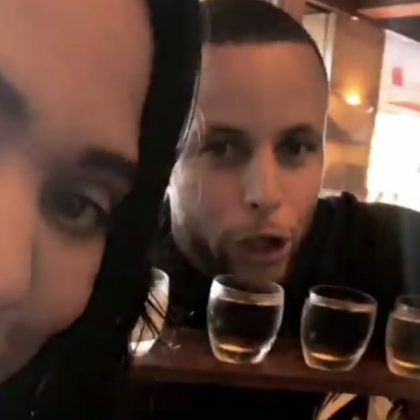 Ayesha Curry﻿ and ﻿Steph Curry spent an afternoon together at Ozuma in April 2016. 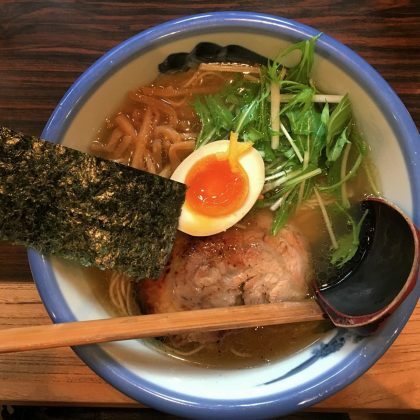 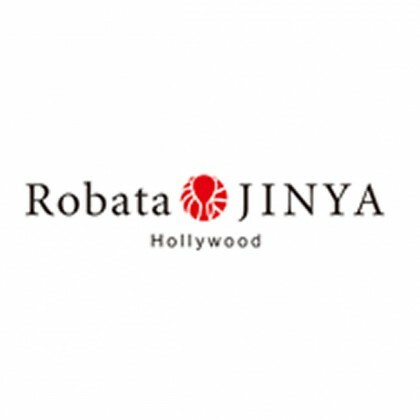 Chrissy Teigen﻿ praised Robata Jinya’s “pork broth ramen” ($7.20-$12.50) when sharing her favorite foods in March 2016. 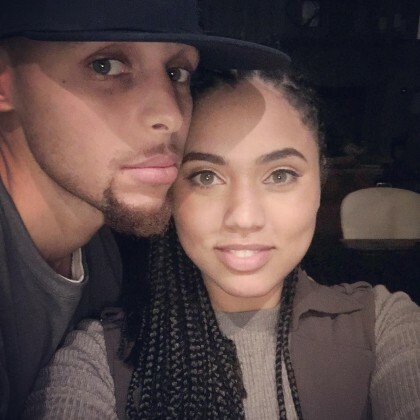 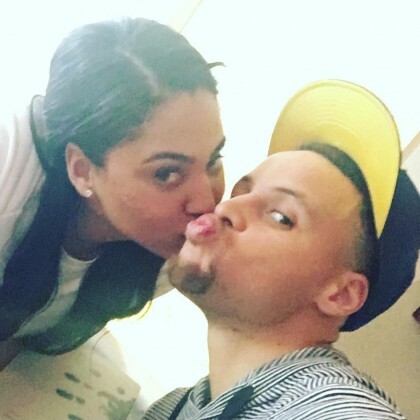 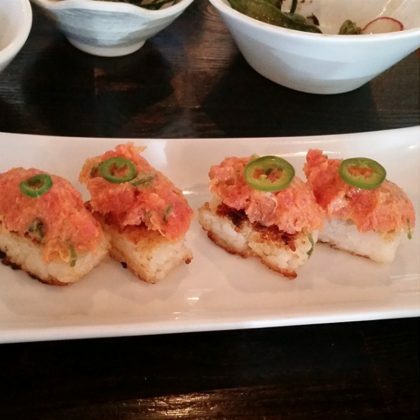 Steph Curry﻿ and ﻿Ayesha Curry﻿ selected Sasa for their “sushi date” in March 2016. 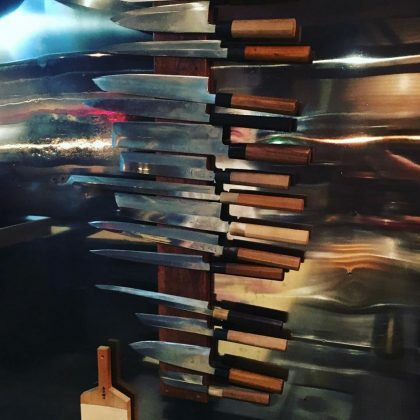 Gwyneth Paltrow said the knife collection at Aburiya Raku was her “Dream wall” when she was here in February 2016. 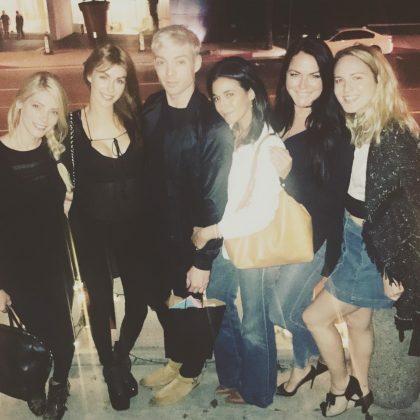 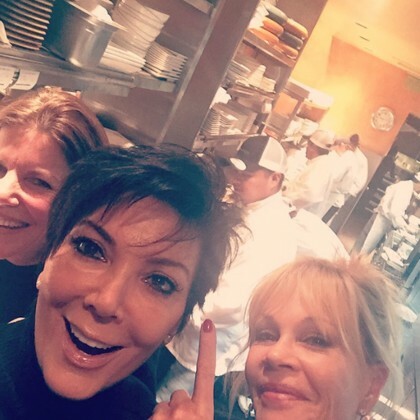 While filming an episode of Keeping Up with the Kardashians during September 2015 fashion week, Kendall Jenner came here post-show with Kourtney Kardashian, Khloe Kardashian, Kylie Jenner, Tyga, and Bella Hadid. 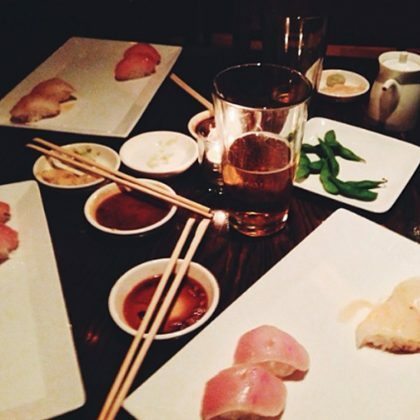 The group took up two booths and ordered edamame among other things. 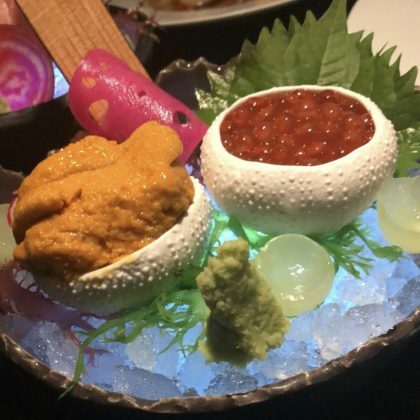 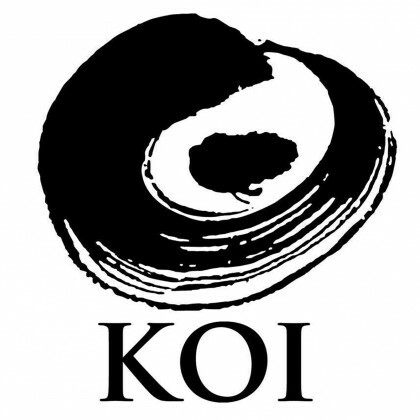 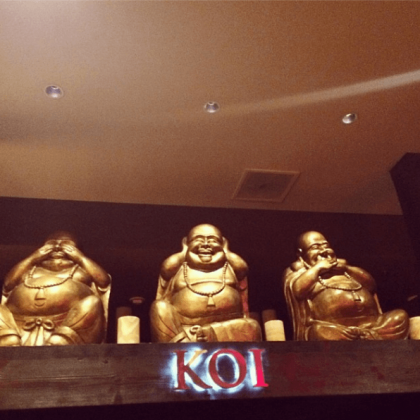 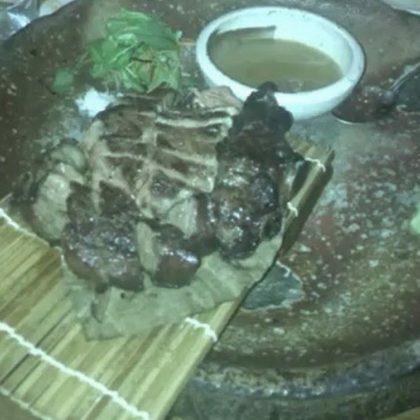 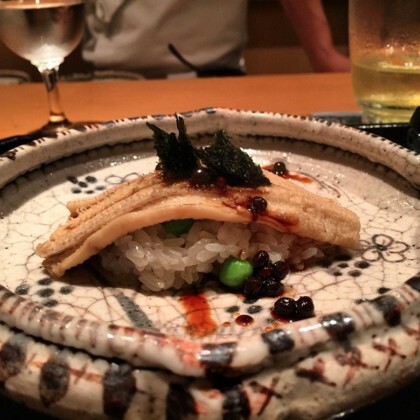 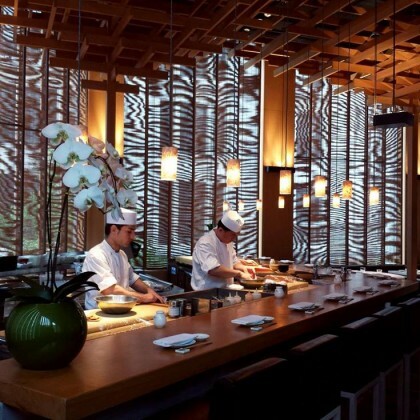 One of Jonathan Cheban’s “London Nights” in January 2016 was spent at Roka. 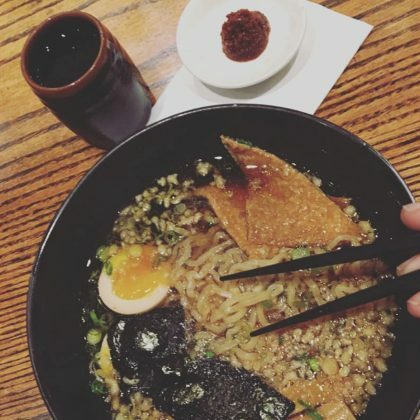 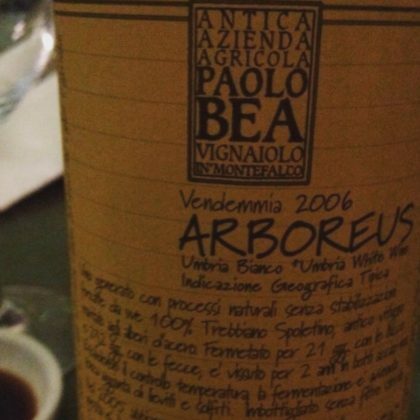 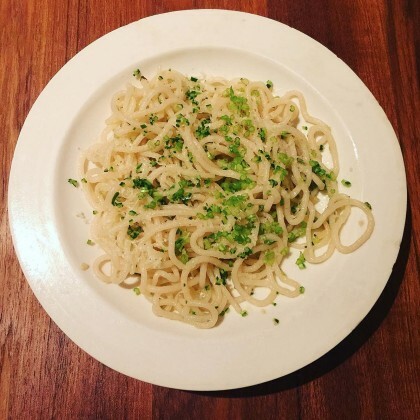 In September 2015, Molly Sims shared a list of places “you AB-solutely must check out” in NYC and DOMODOMO was one of her picks. 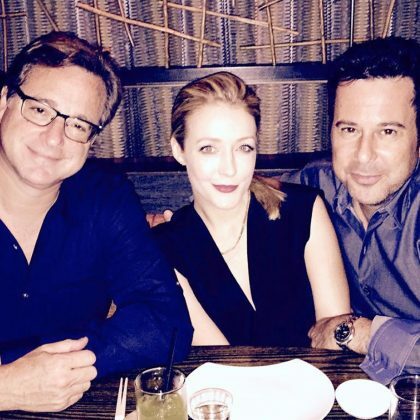 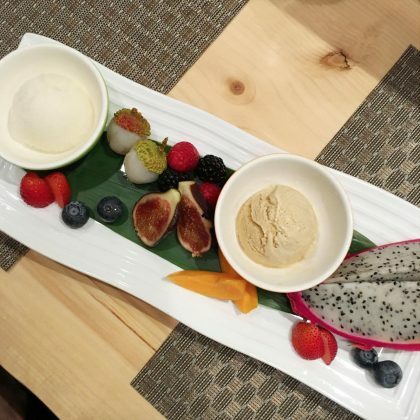 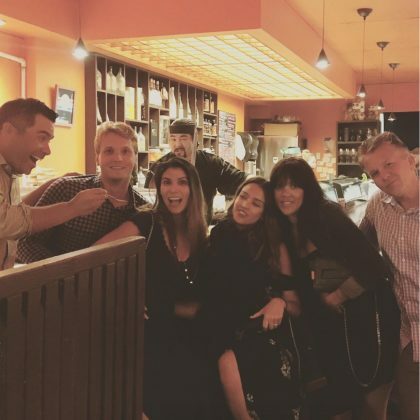 Bob Saget celebrated a friend’s birthday at Yellowtail Japanese Restaurant & Lounge in August 2015. 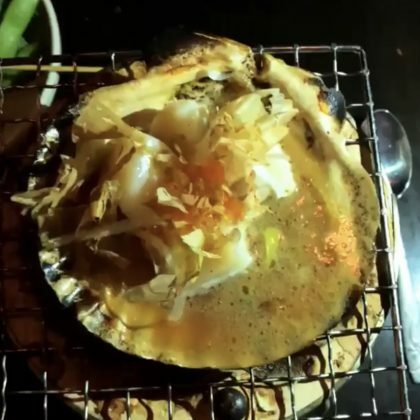 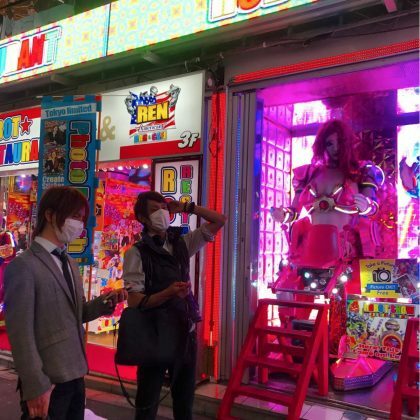 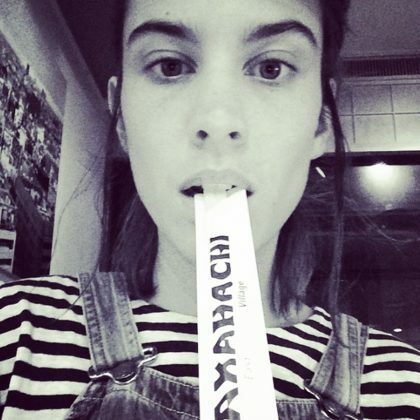 Alexa Chung did “Dinner for one” at a Takahachi restaurant in April 2015. 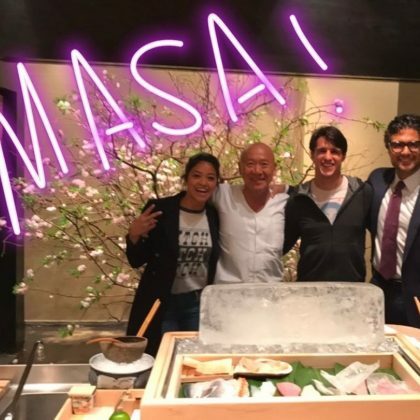 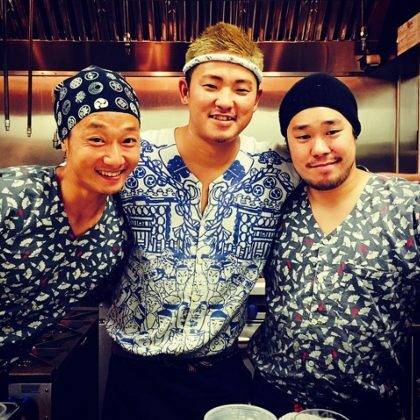 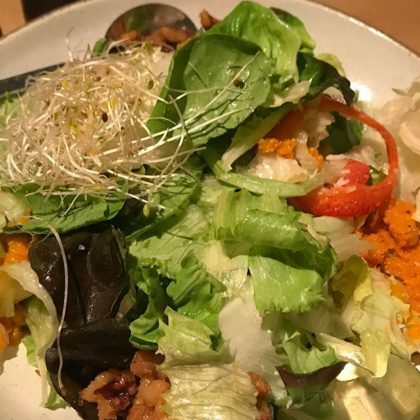 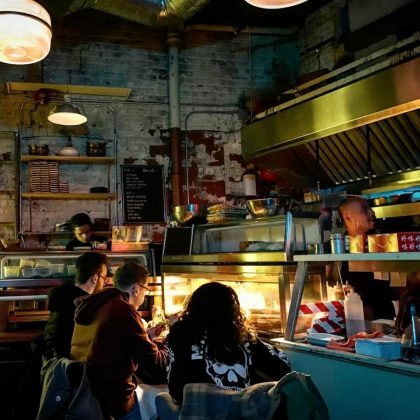 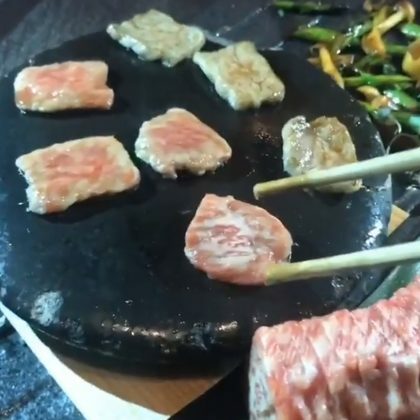 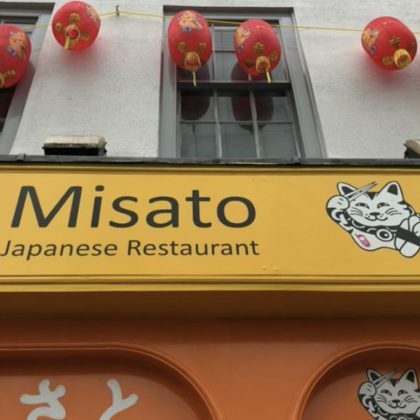 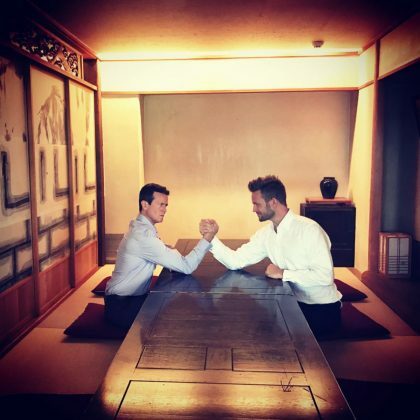 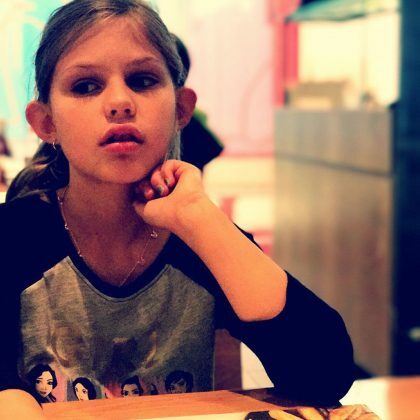 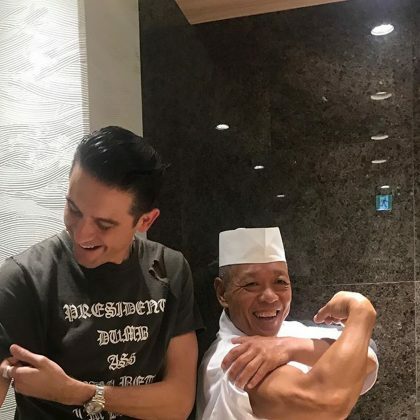 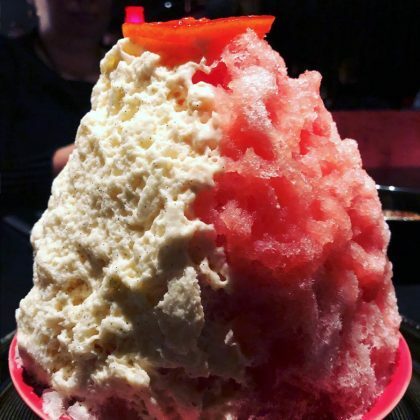 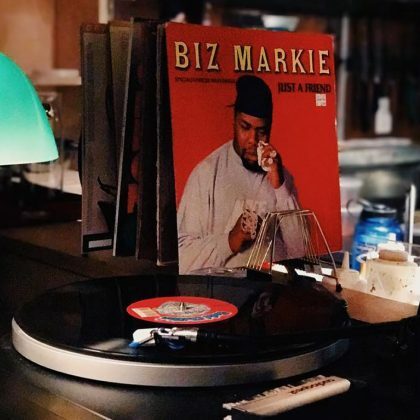 “So much #Japanese #bbq so little time” and the resulting “#foodcoma” were the problems Jessica Alba found herself with when she and Cash Warren ate here in February 2014. 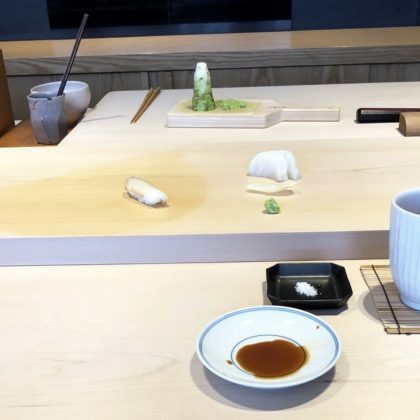 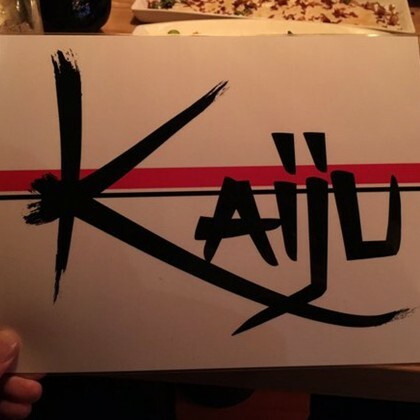 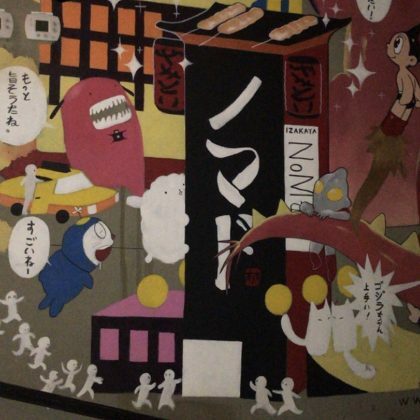 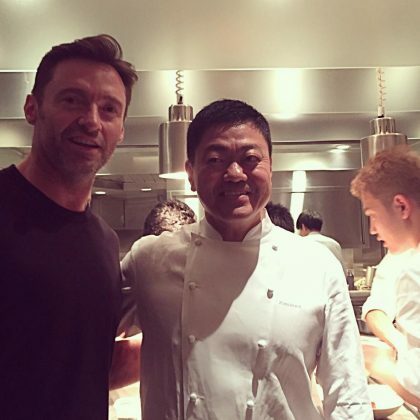 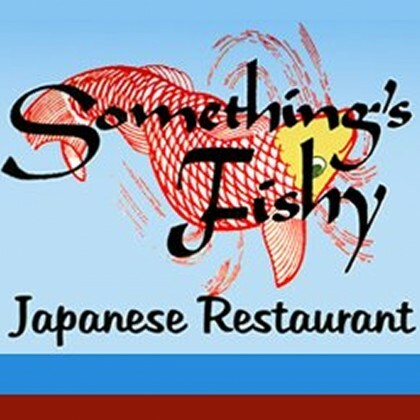 Keira Knightley stepped out at this sushi spot in January 2014. 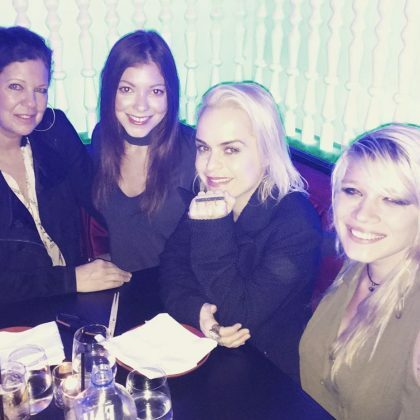 Britney Spears dined with her dancers here on New Year’s Eve to welcome 2014 and celebrate the first week of her Planet Hollywood residency.